It's Natural Fashion - Costumes and Fun! Of course it started out as accessories (as featured under Hats, Totes & Purses and Jewelry) but it escalated into Natural Fashion! 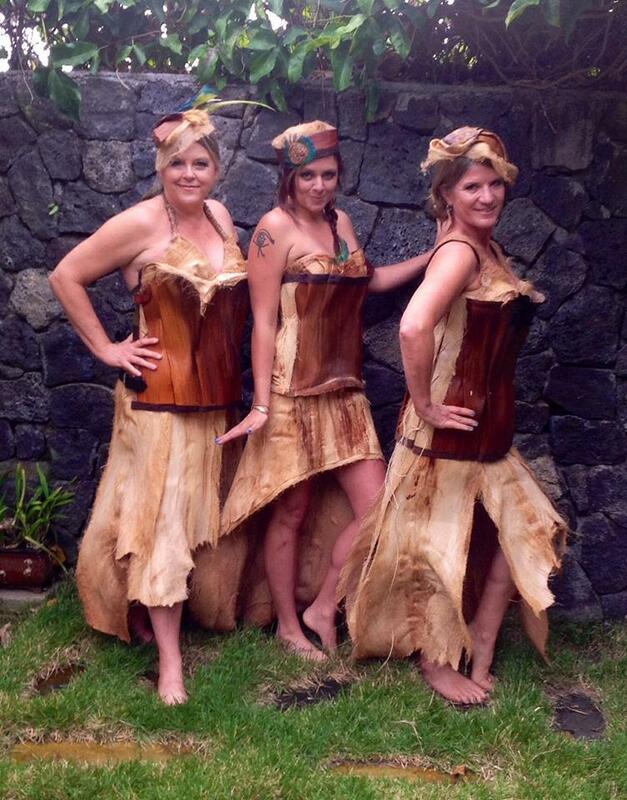 Shelley, daughter Jessi, and friend Lori love to participate in the Annual Kona BrewFest Trash Fashion Show to raise awareness about the importance of recycling. 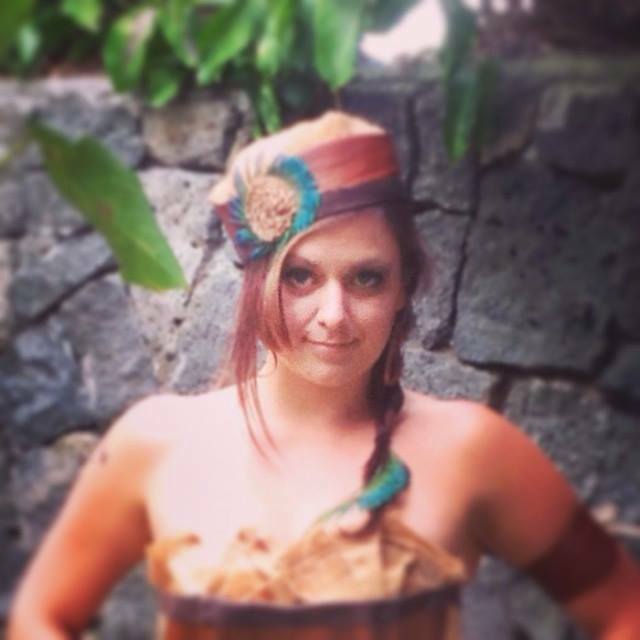 Being that Shelley's passion is for palm fiber, it's only fitting that she focuses on creating outfits from plant material and stresses the importance of composting green waste and keeping it out of the landfills. 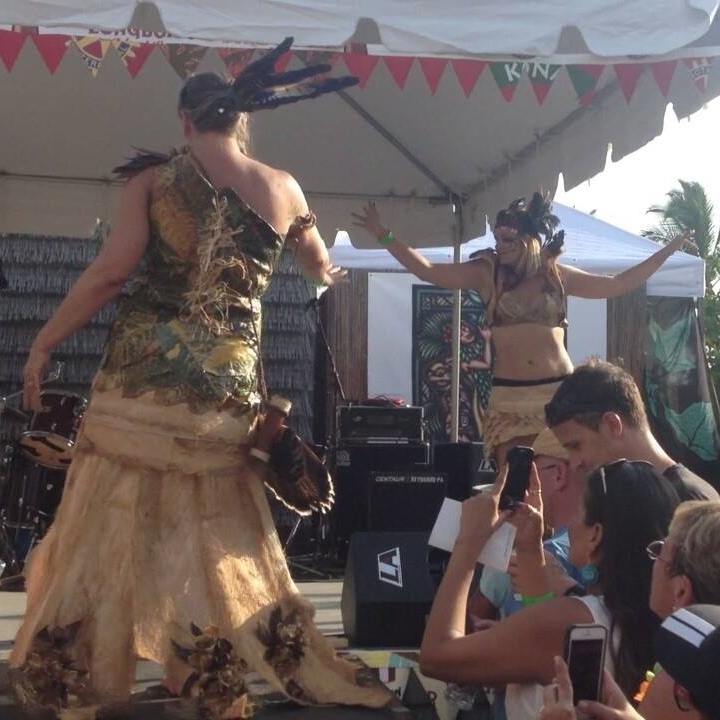 In 2015, the beautiful Lora and Danica rocked her costumes on the runway at the Sustainable Coastlines Hawaii Fashion Show in Honolulu, to help raise awareness about keeping our oceans clean. They also appeared at the 2014 Western Design Conference Fashion Show in Jackson, Wyoming on the lovely Karrin and Patty. Here's some fun shots.